I purchase stamps for America's leading stamp dealer, Mystic Stamp Company. Every year, I pay collectors millions of dollars for their stamps and coins. 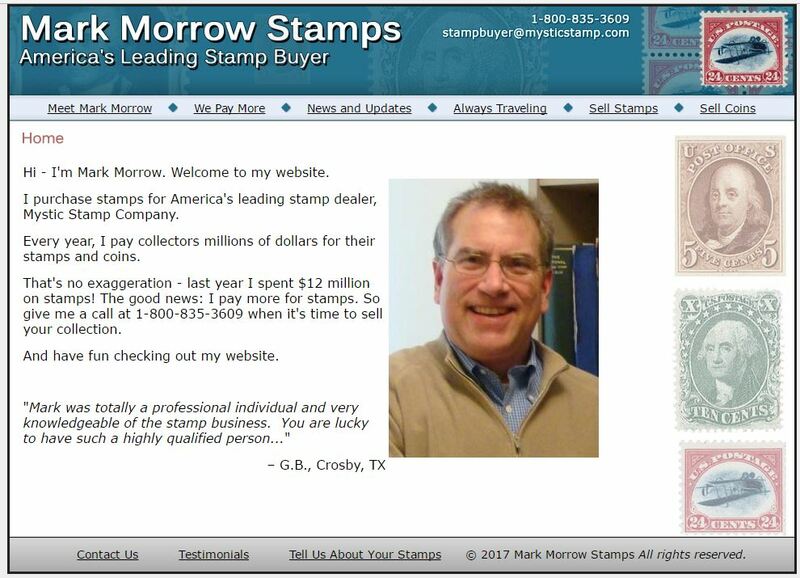 That's no exaggeration - last year I spent $12 million on stamps! The good news: I pay more for stamps. So give me a call at 1-800-835-3609 when it's time to sell your collection.